Next, we'll play a game about karaoke - in other words, James Kordon's writers' room. EISENBERG: Rosanne, you played in the All-City Marching Band. EISENBERG: You must be pretty good at what you play. What do you play? GANGI-GAERTNER: I was a mediocre trumpet player. But it was the pilot year of the band, so they let just about anyone in that year. It was a lot of fun though. EISENBERG: And you got a little special attention from - I guess he was an ex-mayor at the time. GANGI-GAERTNER: The mayor at the time, Ed Koch, came by and patted me on the back while I was playing in front of FAO Schwarz, which was a little disconcerting because I was playing. But it was nice to get attention from his honor. EISENBERG: Ari, you consult for the rehab of exteriors. ARI LEVINE: Yeah, that's right. So yeah, most of the work we do is on existing buildings. EISENBERG: Yeah, making them look better because they're falling apart. LEVINE: Yeah, pretty much. Or they're dangers to the public. EISENBERG: Sure, sure, sure (laughter). LEVINE: So you'll be happy to know actually New York City requires every building that's over six stories tall to be reviewed on a five-year cycle, in case, like, bricks are going to fall on people's heads. And we're the ones that assess that and then fix it. EISENBERG: But if it's five stories, you're cool. LEVINE: Sorry, you're out of luck. EISENBERG: Did you know the word karaoke comes from the Japanese words for empty orchestra - yeah, because why pay musicians when you can get a machine to do it, right, Jonathan? JONATHAN COULTON: I've been begging you to replace me with a robot for years. EISENBERG: So this is an audio quiz called Character Karaoke. We're gonna play you a clip of a movie or television character performing karaoke. You're going to buzz in and tell me the name of the actor. And if you get it right, for a bonus point, you can name the song. Rosanne, you won the last game. So you win this, and you're in the final round. Ari, you need to win this, or you have to go sing karaoke sober. EISENBERG: Here we go. Your first clip is from "Lost In Translation." You got to name the actor. BILL MURRAY: (As Bob Harris, singing) I could feel at the time there was no way of knowing. Fallen leaves in the night, who can say where they're blowing? EISENBERG: You know, with that movie, your other choice would have been Scarlett Johansson - so good call. For a bonus point, can you name the song? EISENBERG: Have you heard the song before? EISENBERG: Vaguely familiar, OK. That was "More Than This" by Roxy Music. My 89-year-old mother loves Roxy Music, ps. EISENBERG: Yep, loves it - it's good to vacuum to. Here's Liz Lemon in "30 Rock." TINA FEY: (As Liz Lemon, singing) And high school girls with clear-skinned smiles, who married young and then retired. Woah. EISENBERG: That's a gimme, right? If you don't know that, you are living under a rock - 30 rocks. EISENBERG: All right, for a bonus point, can you name the song? LEVINE: I want to say "Those Were The Years." EISENBERG: Incorrect but interesting. It's actually "At Seventeen." This clip is from a "Rush Hour 2." CHRIS TUCKER: (As James Carter, singing) Get closer. Oh, get closer. I'm burning now. Just love me till you don't know how. EISENBERG: All right, who's the actor? EISENBERG: Yes, Chris Tucker is correct. EISENBERG: For a bonus point, can you name the song? LEVINE: It's that "Don't Stop 'Til You Get It On." EISENBERG: You got it. Yes, Michael Jackson. EISENBERG: Wait. Wait. Wait. I got so excited. What did you say? LEVINE: I did say "Don't Stop 'Til You Get It On." Yeah. EISENBERG: Oh, I do like your version. I like the intention behind your version. EISENBERG: It's actually "Don't Stop 'Til You Get Enough," which is - your song would come first, and then that song would come second. EISENBERG: Who's singing this clip from "The Office"? MINDY KALING: (As Kelly Kapoor, singing) Whatever we deny or embrace for worse or for better, we belong. We belong. We belong together, Ryan. EISENBERG: Mindy Kaling is correct. EISENBERG: For that bonus point, can you name the song? LEVINE: Is it "We Belong Together"? EISENBERG: Puzzle guru Greg Pliska, can we accept that answer? GREG PLISKA: Well, he said the right answer. And then he added an extra word. LEVINE: Can I truncate it? PLISKA: So we'll take the first two words and accept that. EISENBERG: "We Belong" - Pat Benatar. And here's one from "Veronica Mars." KRISTEN BELL: (As Veronica Mars, singing) One way or another, I'm going to find you. I'm going to get you, get you, get you, get you. One way or another, I'm going to win you. I'm going to get you. GANGI-GAERTNER: "One Way Or Another." EISENBERG: That's right - all the words. EISENBERG: By Blondie. And this is your last clue. He's not technically doing karaoke here. But who's singing in this clip from "48 Hrs."? EDDIE MURPHY: (As Reggie Hammond, singing) You don't have to put on the red light. Those days are over. You don't have to sell your body to the night. EISENBERG: Still holds up. For a bonus point, can you name the song? EISENBERG: "Roxanne" by The Police. EISENBERG: All right, puzzle guru Greg Pliska, how did our contestants do? PLISKA: Well, it was an excellent and very close match. And our winner of that round is Ari. PLISKA: Now, this means you've each won one game. So it's time for a quick game three. The way this works is I'll give you a category, and you'll go back and forth naming things that fall into that category. The first contestant to mess up will be eliminated. OK, here is your category. As of this recording, name the nine current United States Supreme Court justices. LEVINE: Steve Scalia - or Antonin Scalia. PLISKA: I'm sorry. That's incorrect. The remaining correct answers were Samuel Alito, Stephen Breyer, Neil Gorsuch, Elena Kagan, John Roberts, Sonia Sotomayor, Clarence Thomas. Ari, we're sorry to see you go. Rosanne, you're headed to the final round. EISENBERG: Coming up, we'll find out who will face off against Rosanne in the final round. And we'll talk to Ethan Slater from "SpongeBob SquarePants: The Broadway Musical." I'm Ophira Eisenberg. 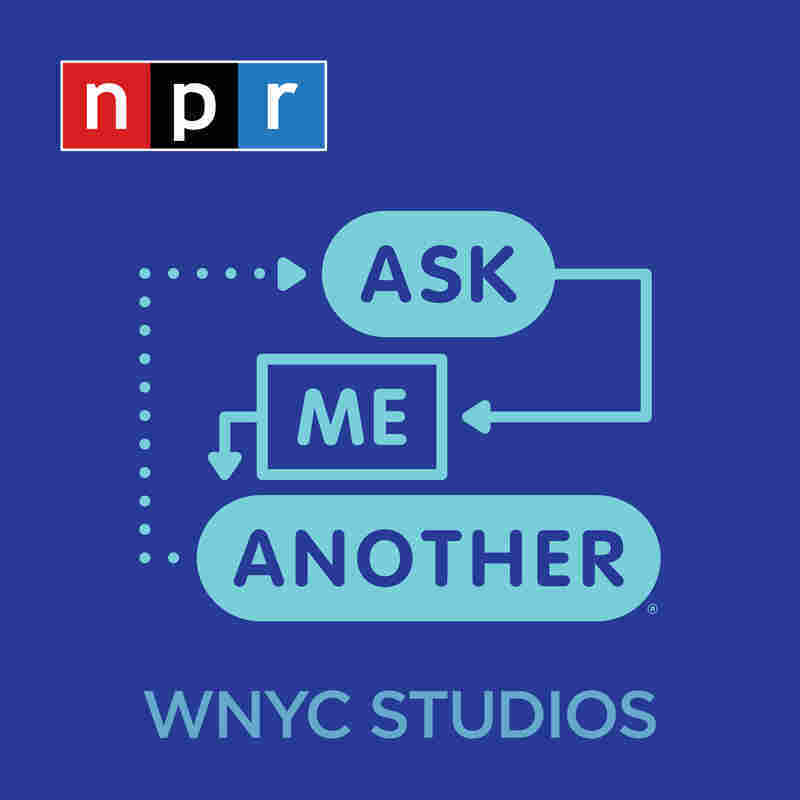 And this is ASK ME ANOTHER from NPR.